Today the European Commission is hosting a day of workshops in Brussels on Good Governance in Sport (current challenges and future scenarios). As part of this, it has proposed a pledge for organisations to sign and align their commitments. A common pledge to govern well is unfortunately very much needed, not only to preserve the reputation of sport, but for some sectors the challenge is even to restore their reputation. Good Governance is vital for the future of sport organisations at all levels. It is, as stated in the pledge, vital to ensure the financial sustainability of sport organisations as private sponsors, and public authorities naturally require it. However, Good Governance is also important for more basic human reasons, such as acting ethically and morally decent as responsible citizens and leaders of sport organisations. ISCA’s focus in Good Governance is on its implementation in the grassroots sport sector. This sector might not have the biggest challenges with day-to-day governance. However, as grassroots sport is the sector in sport with most governing entities, involving the most citizens and contributing the largest economic impact, it is crucial that governance is addressed appropriately and in a timely manner. 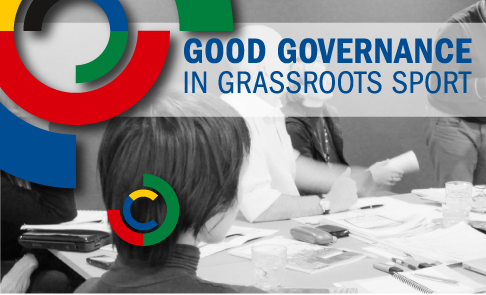 In partnership with Transparency International and with support from the European Commission, ISCA implemented the Good Governance in Grassroots Sport project to tackle the challenges to how sport operates at a community level. Besides working directly with several sport organisations, the project provided Guidelines and a Self-Assessment Tool aimed at strengthening the basic governance practices of grassroots sport organisations. We actively promote these Guidelines and Self-Assessment Tool, which are available free of charge online and can be used by organisations worldwide to assess their governance. We are happy to see that ISCA’s member associations have now incorporated Good Governance in their statutes and promote further distribution of our resources within their organisational structures. The impact and outcome of Good Governance initiatives depends on the ability to “Walk the Talk”. We therefore encourage the European Commission to emphasise that signing a pledge is not a result in itself. The result and impact is embedded in the ability and willingness to “Walk the Talk”.